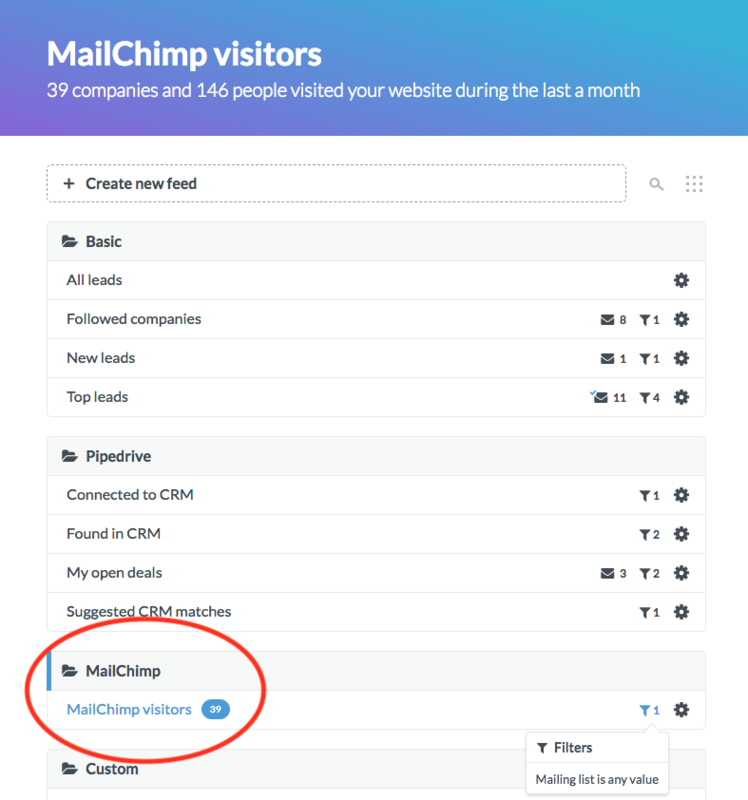 Once you've integrated Leadfeeder with Mailchimp a new basic feed will appear in the home screen of the app that will enable you to see all traffic visiting your website through the Mailchimp campaigns you send. It's called Mailchimp visitors and it means that all you have to do is check this feed and subscribe to see what real people have been doing on your website. What does the Mailchimp integration for Leadfeeder show? How do I stop seeing certain traffic in Leadfeeder?